A low price and solid performance make up for lackluster design. A lesser-known brand, Romoss is starting to get my attention. Looking at the Solo 6 Plus, it’s clear Romoss doesn’t lead the way in cutting-edge design, but between its efficiency and brilliant LCD display, I’ve grown fond of this pack. 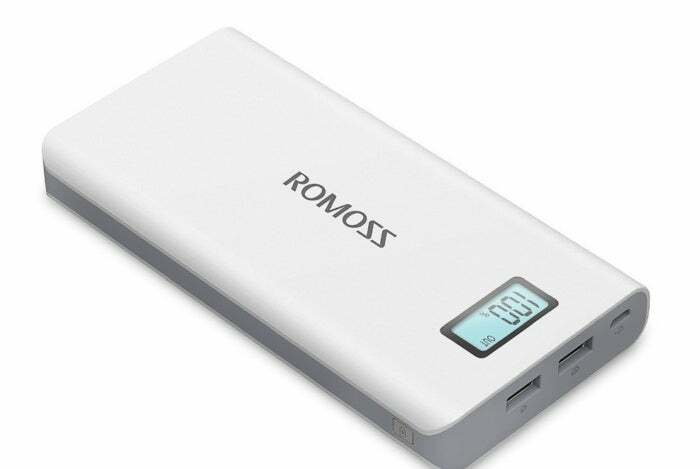 The Romoss Solo 6 Plus is currently priced at just under $24 on Amazon, with a capacity of 16,000mAh (59.2Wh). Our efficiency test put the Solo 6 Plus at 87.39 percent of total capacity used when charging your devices. Total charging time of the pack itself is on the slow side, taking 10 hours to go from 0 to 100 percent. The back of the pack features a display, with two USB-A ports for charging devices on one end. To the right of those ports is a lone Micro-USB port for charging the pack. A power button is located on the side of the pack, turning on the display when pressed. The LCD display does more than just show the current charge level of the pack; it also shows the rate at which it’s charging another device. For example, connecting a Samsung Note 8 to the pack instantly triggers a label of “5.0V 2.1A” just below another label that reads “OUT.” In other words, the pack is charging the Note 8 at 5V/2.1A—the maximum the pack is capable of. It’s not official Quick Charge 2.0/3.0 support, but it’s still fast enough to quickly add some power to your phone. Included in the box with the Solo 6 Plus is the battery pack and a Micro-USB cable. Beyond the rather boring, clunky design, the Solo 6 Plus weighs just over a pound. It’s heavy enough that you’re going to feel the difference in your backpack or bag, but at this price, you’re bound to give up something. Bottom line: This is an efficient battery pack, if not one of the better-looking ones. But at its current price, and with the addition of an LCD display, it’s a darn good deal.